President Muhammadu Buhari has sent his condolences to President John Mahama of Ghana, over the death of his mother. Punch reports that Buhari spoke with Mahama over the phone today, Wednesday, June 15, 2016. The Special Adviser to the President on Media and Publicity, Femi Adesina, in a statement made available to newsmen, said “The President told the Ghanaian leader that his personal thoughts and prayers as well as those of Nigerians are with him as he mourns the passage of a beloved mother. President Buhari is currently in London receiving treatment for his ear disease. 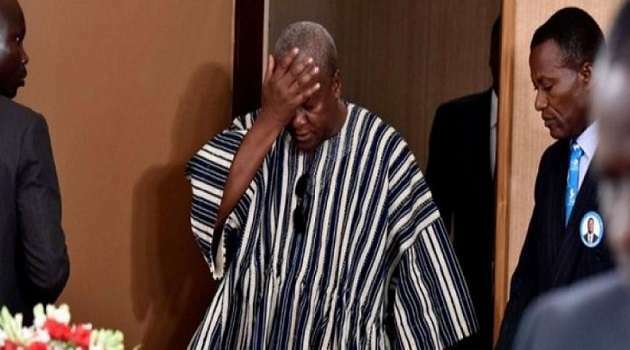 According to Pulse Ghana, Hajia Abibata Nnaba Sluwu mother of President John Mahama died on Tuesday, June 14, 2016.